Near the Balcones Canyonland Preserve, Canyon Creek has a beautiful park-like feel. 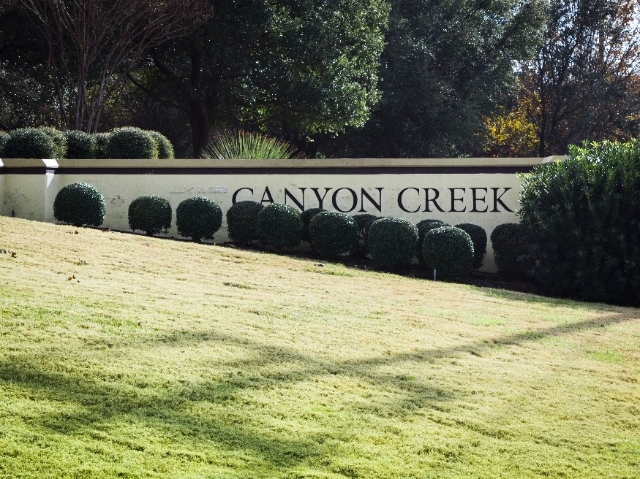 Canyon Creek's residents enjoy easy access to RR 620, FM2222, and HWY 183. For those whole love to get out of the house, Canyon Creek neighborhood is only a few miles from the beautiful Lake Austin and Lake Travis, and for an unparalleled shopping experience Austin's Lakeline Mall is only a short drive away. Canyon Creek contains two parks: Trailhead Park, and the Homeowner's Association Park. Both of these Canyon Creek exclusives are ideal for child and parent alike, with elegant walking trails and an expansive playground. Canyon Creek is served by both Leander and Round Rock Independent School Districts, each containing some of the state's best schools at all levels. Call for more information about Canyon Creek today!